How to invest in global equity markets? Large Indian brokers with a group banking interface like ICICI Direct, HDFC Securities, and Kotak offer this service to customers. In 1976, Ronald Wayne sold a 10% stake in a US hardware company for $800 as he saw a bleak future. His other two partners, Steve Jobs and Steve Wozniak, held on. More than 40 years later, the company Wayne let go of touched a market capitalization of $1tn, bringing the value of his 10% stake to $100bn. Stories like these make you wish that you too had purchased Apple in 1976 and held on. But sitting in India, can you buy the next Apple, Alphabet, or Amazon? Yes, you can, and you should. Here is why! You can participate in the US or European equity markets sitting right here in India. 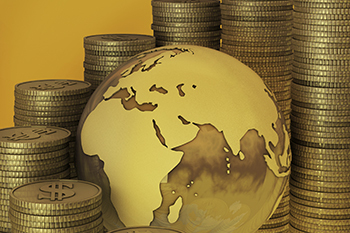 Let us focus on why you must seriously consider global equities as a distinct asset class. Global equities allow you to participate in niche stories not available in India. For example, a pharma company with strong intellectual property (IP) only exists in Europe or the US. If you are looking at biotech and genetic engineering, you get them in the US or Europe. If you are looking at really huge digital properties, they mostly exist in the US and China. Global equities provide an additional layer of diversification. When you diversify within equities in India, you are still systematically exposed to macro risks like inflation, interest rates, currency, trade deficit etc. That is where global equities score. Lastly, emerging markets like India are always looked upon as risky markets by investors. By investing money in the developed markets like the US and Europe, you can provide risk-off stability to your portfolio. But, how do you invest in global equities, sitting right here in India? There are three ways. Large Indian brokers with a group banking interface like ICICI Direct, HDFC Securities, and Kotak offer this service to customers. The customer has to go through the domestic broker KYC and also the international KYC. For purchasing global equities, the funds have to be directly transferred to the international partner of the domestic broker. The transfers will be governed by the Liberalized Remittance System (LRS), which allows a person to remit up to $2,50,000 per year. A family of four can effectively remit $1mn per annum. Along with the application form, you also need to submit Form A2 as well as a declaration under the Foreign Exchange Management Act (FEMA). Once this is done, you are good to start trading in international equities. To avoid the hassles of going via a domestic broker and if volumes are expected to be large, you can directly open a trading account with an international broker like Ameritrade, Charles Schwab, or Interactive Brokers. Here also you will be governed by the KYC requirements, the remittance limit under the LRS, and signing of appropriate FEMA and Anti -Money Laundering (AML) declarations. International accounts insist on a minimum deposit of $10,000 and above, and hence, may be only suitable for large transactions. Large fund houses like ICICI Prudential, Templeton, and Kotak Mutual offer the facility of investing in international ETFs of their global parent. Normally, these are structured as Fund of Funds (FoF), and hence, redemption can take up to a week to get the credit. For the purpose of capital gains taxation, these global investments will be treated as non-equity investments. So what are you waiting for? Start preparing to buy the next Apple!